This rice is both delicious and simple to make. The tangy cheese pairs beautifully with the nutty rice and crunchy pine nuts, giving this dish the fresh flavors of the Mediterranean. Add a fresh salad, greens, or asparagus and you’ve got a complete dinner. 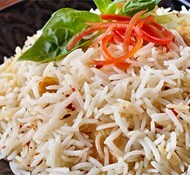 Prepare Royal Basmati Rice. This can be done up to one day ahead. While the rice cooks, dice the onion and mince the fresh parsley. Heat a well-dried frying pan over low heat and add the oil. Warm for 30 seconds and add onions. Increase heat to medium. Sauté the onions for 2-3 minutes, stirring often, until they are translucent. Gently stir in the cooked rice, using a fork to break apart the grains if needed. Stir to combine the rice and onions. Sauté for 3 minutes. Mix in parsley, salt, pepper and Feta cheese. Cook rice for 3 minutes so the flavors blend. Stir occasionally to prevent the rice and cheese from sticking to the bottom of the pan. When the ingredients are well mixed and hot, turn off the heat. 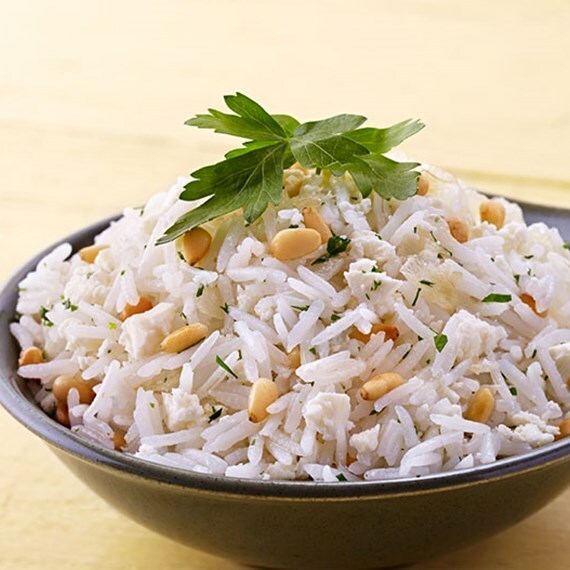 Place rice in a serving dish and garnish with pine nuts. Sprinkle more parsley over the dish, if you like. 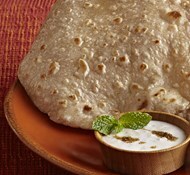 Serve hot as a light lunch or part of a larger meal.